The Roughneck Stealth Trainers have black mesh and leather uppers with a padded tongue and collar for increased all day comfort. 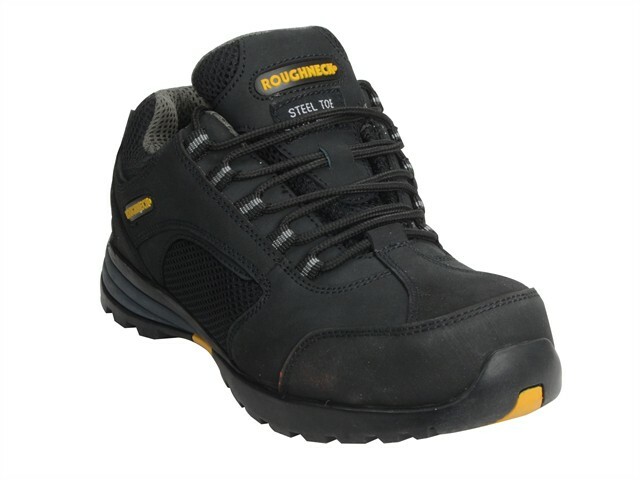 Fitted with a steel toecap, tested to 200 Joules, and a composite midsole for maximum wearer protection. There is also an anti scuff trim and the rubber soles are anti-static, chemical and oil resistant whilst also being shock absorbent. Supplied with an extra pair of laces.